Gertrude Bell was a formidably intelligent British woman from the late 19th century whose travels through expansive deserts in the Middle East helped establish modern society in countries such as Iraq and Jordan, and importantly cast an enormous amount of respect on women everywhere. She didn't care for behaving like British society expected women to behave, and she proved that she could be just as skilled in the likes of cartography, archeology and politics and refused to be treated any differently than her male peers. Even when she was threatened and accused of being a spy, she never backed down and her resilience and care towards Arabic peoples have left their mark in history. 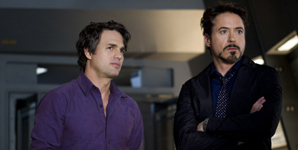 This is the Marvel movie that divides the fans from the casual filmgoers, as the movies become more like a TV series in which the world is saved from disaster every week. While it's shot and acted to an unusually high standard, the script treats the characters like pawns to throw at each other rather than real human beings. So while it's hugely entertaining, there isn't a hint of actual tension or suspense. 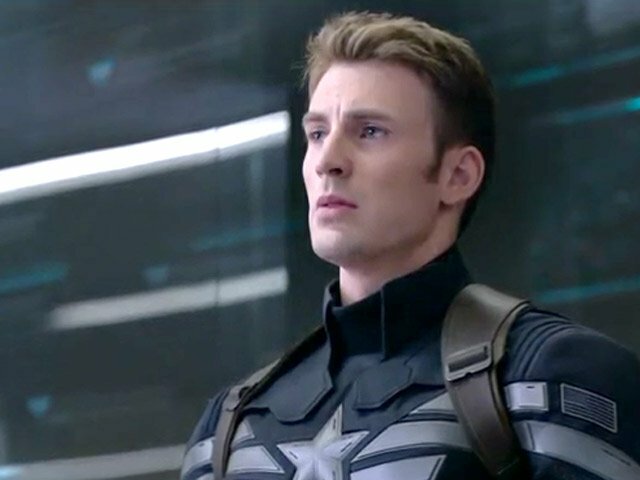 Now settling into life in the 21st century, super-powered soldier Steve Rogers (Chris Evans) and his cohort Natasha (Scarlett Johansson) are horrified when the mysterious, seemingly indestructible Winter Soldier launches an attack on Shield Director Nick Fury (Samuel L. Jackson) on the streets of Washington DC. Suspected of being on the wrong side, Steve and Natasha set out to find out what's up, drafting in angry veteran Sam (Anthony Mackie) and his whizzy flying-wings accessory. Meanwhile, Shield boss Pierce (Robert Redford) is carrying on with launching a wildly heavy-handed security system for America. Marvel show-runner Kevin Feige works hard to make these movies fit loosely into the overarching mythology while standing on their own. But this is the ninth time these superheroes have had to save the world since 2008's Iron Man, and it's getting a bit tired. This chapter introduces a perviously unseen darkness in the evil agency Hydra, but the real innovation here is the use of gritty Bourne-style direction for the lucid action sequences. Steve Rogers has awoken after a deep sleep lasting 70 years following his fight with Nazi adversary the Red Skull during World War II. Things are a lot different now, however, which is more than enough for him to contend with, but when he is forcibly enlisted in the superhero group S.H.I.E.L.D. by the morally questionable Nick Fury, he soon finds himself in immediate danger once again. 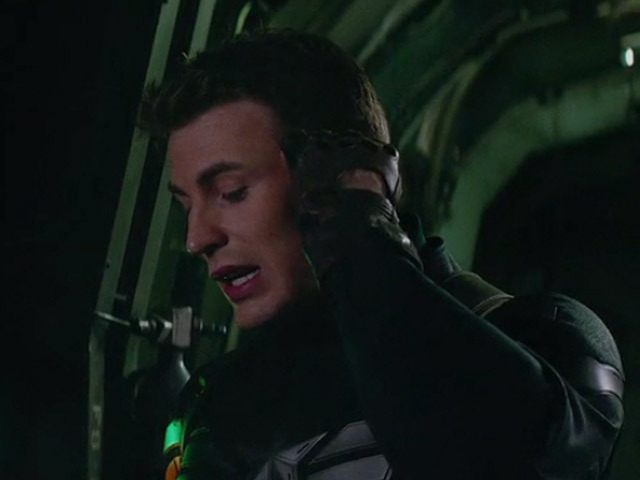 Unable to trust most of the people around him, he finds comfort in his S.H.I.E.L.D. cohorts, namely Natasha Romanoff AKA Black Widow and Sam Wilson AKA Falcon. Together, the group set out to tackle the world's latest threat, but when one member of S.H.I.E.L.D. is targeted and attacked in mysterious circumstances, they start to wonder if they are getting the whole picture. With assassins on Rogers' tail incessantly, he starts to uncover the planet's real menace in the form of the legendary Winter Soldier. Following events during World War II and his confrontation with Nazi adversary the Red Skull, Steve Rogers awoke 70 years later to find that the world had changed almost beyond recognition. He is now reluctantly a part of superhero law enforcers S.H.I.E.L.D., led by Nick Fury who more than once makes Steve question the ethics of the group and epitomises the blurred line between good guys and bad guys. There are people he can trust though, namely Natasha Romanoff AKA Black Widow; a fellow S.H.I.E.L.D. spy who embarks alongside him on a mission to tackle the latest global threat. However, when a member of S.H.I.E.L.D. is attacked, they find themselves in mysterious circumstances and start to wonder if someone's keeping something from them. As Rogers fights off a myriad of assassins, the real threat starts to surface in the form of the Winter Soldier. 'Captain America: The Winter Soldier' is the sequel to 2011's 'Captain America: The First Avenger'. 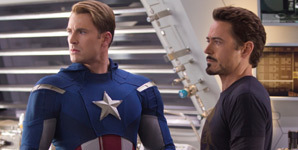 Based on the Marvel comics by Joe Simon and Jack Kirby, it has been directed by Primetime Emmy-winning brothers Anthony Russo, Joe Russo ('You, Me and Dupree', 'Community') with a screenplay by collaborative writing duo Christopher Markus and Stephen McFeely ('Thor: The Dark World', 'The Chronicles of Narnia', 'Pain & Gain'). It is set to hit the UK on March 28th 2014. 'The Railway Children' has received its first complaint 42 years after its release. An unnamed correspondent contacted the BBFC (British Board of Film Classification), they felt the film encouraged children to play on railway tracks. British Classic The Railway Children has received its first ever complaint. The film was released in 1970, yet 42 years later it has prompted a complaint to the British Board of Film Classification. Jenny Agutter, pictured at the UK Premiere of Outside Bet, played on of The Railway Children. According to the BBFC's annual report the concerned correspondent worried the film may encourage children "to play on railway tracks". Continue reading: BBFC Complaint Warns 'The Railway Children' May Encourage Children "To Play On Railway Tracks"
As BBC's answer to Downton Abbey, Call The Midwife "made for perfect Christmas telly," according to The Telegraph's 5-star review. Jenny Agutter - who plays Sister Julienne in the show - has revealed her thoughts on the show and Christmas while talking to The Mirror, and it appears that she's not entirely enamoured with the season. "The prayers in the Christmas episode are woven into a really gritty story," she explains. "You do have the spiritual element of Christmas - something that is sadly lacking today because it seems so material. I find it quite disturbing how the sales start in November and go right the way through and everyone's so worried about what they're going to buy and how to wrap it. For me, Thanksgiving in America is a fantastic holiday because there are no gifts, there are no cards, it's really a family get-together and it's all about sharing that particular moment in time." Alongside the brilliant new Doctor Who Christmas episode, named The Snowmen, The BBC had a formidable festive schedule to unleash, and Call the Midwife was a big part of that. A couple of Downton fan-written reviews aside, the Christmas special was a triumphant success. "Call the Midwife certainly takes an affectionate view of Fifties Britain," continued the Telegraph's review, "But Heidi Thomas, Call the Midwife's creator and writer, never shies away from genuinely gritty - sometimes quite gruelling - storylines." 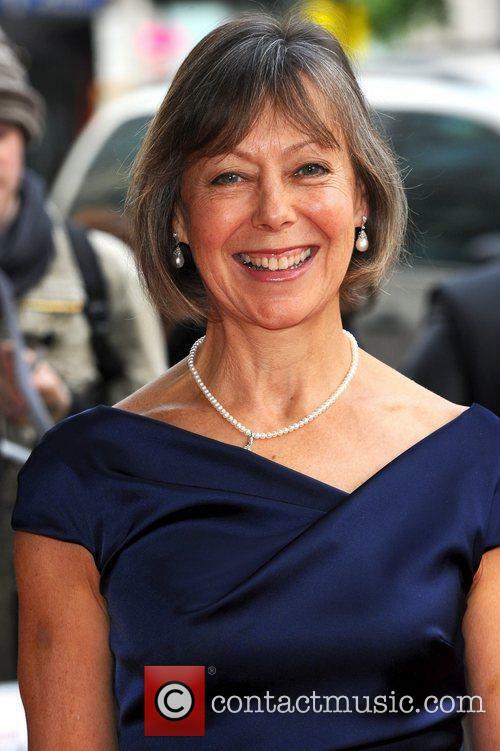 Jenny Agutter was awarded an OBE today for her philanthropic work for numerous charitable causes, The Daily Mail reports. Perhaps most loved for her role in both the film and TV versions of The Railway Children, Agutter went on to forge a prosperous career in Hollywood before turning to star in U.K crime series Spooks. Her work as an actress has enabled her to support many charities, the latter work which today (Friday, October 19) was recognized in the form of an OBE. Speaking after the presentation, she said: 'It's lovely to be recognised for the work I've done. I think the charitable sector has a great many people who work voluntarily and I'm totally inspired by them and feel privileged to, in a way, have this honour on their behalf - there are a lot of people working very, very hard. But I'm in a position where, I guess, because of being an actress one's in the front line - that's what one has to use to draw people's attention often to charities." The 59-year-old has been supporting organisations such as the Cystic Fibrosis Trust and Action For Children for many years. 'I work with a handful who are very, very important to me and the people I work with are extraordinary and really wonderful," she went onto explain. Jenny Agutter Thursday 19th April 2012 'Marvel Avengers Assemble' European Premiere held at the Vue Westfield White City - Arrivals. Nick Fury is the director of law enforcement and espionage agency S.H.I.E.L.D, which deals with superhuman threats. One day, an unexpected enemy targets global security and safety. The problem is made known to Nick, who decides to assemble a team of the world's strongest superheroes to tackle this problem. starts looking all across the globe. Nick Fury is the director of S.H.I.E.L.D, a law enforcement and espionage agency that deals with threats that can be perceived as superhuman. One such threat is made known to him one day, when an unexpected enemy targets global security and safety. Nick decides to assemble a team of the world's strongest superheroes to tackle this problem and starts looking all across the globe. Telling a story from a rarely examined period of British history, this pre-war drama is a bundle of suspense, mystery and personal emotion that's beautifully filmed and sharply played by a first-rate cast. Anne (Garai) is the adopted eldest daughter of powerful politician Alexander Keyes (Nighy) and his wife (Agutter), who went on to have two of their own children (Redmayne and Temple). It's the glorious summer of 1939, when Britain felt like it had averted conflict with Hitler, so when Anne stumbles on hints of a government conspiracy, she turns to a fellow actor (Bonneville) and her boyfriend (Cox) for help. But the mystery only deepens, compounded by a sinister Home Office official (Northam) and the distracting presence of her Aunt Elizabeth (Christie).